After losing his high-pressure job on Wall Street, Dominic Roberts wants to follow his dreams to have a family. He’s already one fiancée down, and there are no likely prospects for another. In order to find the family he so desperately wants, he finds himself getting into the manny business. Since he is fully qualified to provide child care and is eager to leave New York City behind, his sister-in-law is able to land him a job in California working for his first client – the beautiful and intriguing Mia Balducci. Will Lucia like the new man in her mother’s life? Will Mia? And will this new trio discover the happily ever after they all so desperately seek? When I first picked up this book I thought it would be a lightweight, fluffy story about a professional woman and her male au-pair, but nothing could be further from the truth. 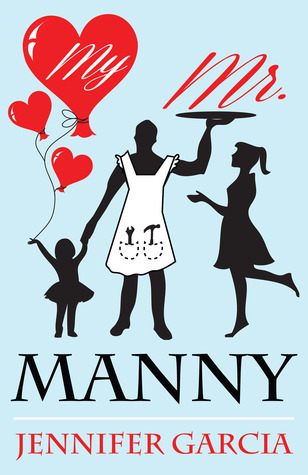 Although there is lightness in the writing–and the promised HEA–My Mr Manny also explores the pain of a marriage breakup, the fears of moving on, and the fierce attachment that a mother feels toward her child. The book starts with a scene from Mia’s childhood; a golden time when children could run around the block until nightfall. The scene establishes the importance of her extended family, which is particularly poignant when, at age sixteen, she moves across the country to LA to live with her father. When she reconnects with one of her childhood friends at a college football match, you’d be forgiven to think Mia’s found her HEA. But this is only a small way into the story, and we know from the summary that she has many hurdles to face before she can finally be happy. Dominic is hot. We know that from the start because Mia makes herself look a complete fool in front of him. But he’s also kind enough to ignore her fawning, and before long he’s offered the job. What follows is a story of love. Not just between Dominic and Mia, but between her daughter, Lucia, and the two of them as well. Love me, love my child could be Mia’s motto, and it’s clear to see that Dominic does exactly that. What I loved about the story was the hope that was woven throughout the text. We could have forgiven Mia for feeling angry and bitter after everything she’d faced, after all, who hasn’t wanted to give up when trying to work a full time job and raise a child single-handed? But she doesn’t do that, she strives to give Lucia a happy childhood, and more importantly is willing to accept help where it’s offered. That kind of strength is what attracts Dominic to her, and lights the bright flame that burns between them. 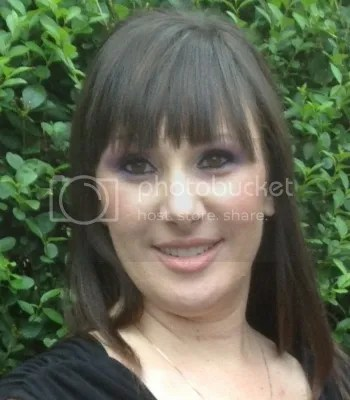 Jennifer Garcia’s lifelong love for reading and writing was put aside for many years while she made her way in the world and nurtured her young family. Originally from Boston, she currently resides in Los Angeles with her husband, two sons, and two dogs. Even though she is older, and life never seems to settle, she’s finding her way while attending college full-time in pursuit of a B.A. in English Literature. She also runs a business, and is still caring for her family. Believing she can do it all, with the help of her family, she worked on her first novel during the late hours of the night while balancing the rest of her life during the day. Her hard work paid off, as her first novel, My Mr. Manny, was released August 2013 and her first novella, In My Mother’s Footsteps, was released July 2013. Jennifer Garcia is running a Goodreads Book Giveaway from March 2nd to March 8th, 2014. Giveaway ends March 08, 2014. For more information please go to Jennifer’s Blog.